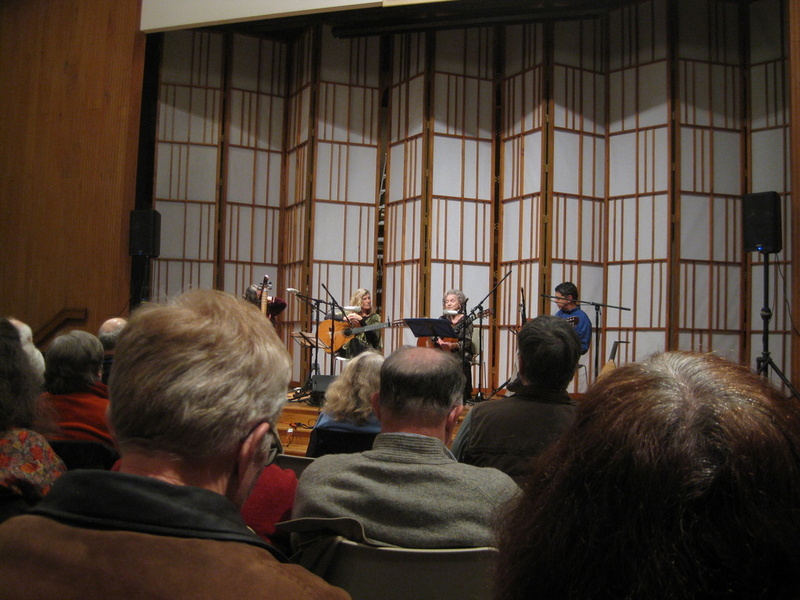 Last night at the Trio Sefardi concert we had the privilege of hearing Flory Jagoda sing her song “Ocho Kandelikas.” Trio Sefardi are playing in this year’s Christmas Revels; they’re the specialists in Sephardic music. The members of Trio Sefardi all learned from Flory, a wonderfully talented musician who lives here in the D.C. area. Flory was born in Bosnia in the 1920s and came to the U.S. after the Second World War. She’s not joining us for the exhausting weeks of rehearsals and performances we have coming up, so this was a special occasion. 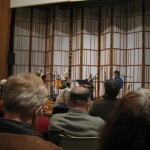 For about half of the concert, Flory sang, played guitar and percussion, and told stories about her childhood in Bosnia. Like the one about the aunts who knitted sweaters; one of them always made the sleeves too short and one made the sleeves too long. So if you met someone with a new sweater, you could tell which aunt made it. “Ocho Kandelikas” is a counting song about the eight candles of Hanukkah. A “kandela” is a candle, so a “kandelika” is a little candle. The chorus goes “Una kandelika, dos kandelikas, tres kandelikas….” We’ve learned a version arranged by Trio Sefardi member Tina Chancey, so it was so exciting to hear Flory singing her composition tonight. You may wish to study, because this is one of the times when the audience gets to sing along.